Bring the glitter of diamonds into your everyday life with Glitterati, diamond studded jewellery designed for daily wear. The brand offers a wide array of designs in a highly affordable range. The diamonds not only add a sparkle to your look at work or on casual social outings, but enhance your status as a contemporary, with-it modern young woman. We are supplier of Asmi Diamond Pendants. We are offering Asmi Diamond Pendants. We are unique supplier of Asmi Diamond Pendants. 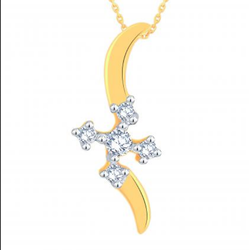 We are engaged in offering Asmi Diamond Pendants. We are top notch supplier of Asmi Diamond Pendants. We are dealing in Asmi Diamond Pendants. We are main supplier of Asmi Diamond Pendants.